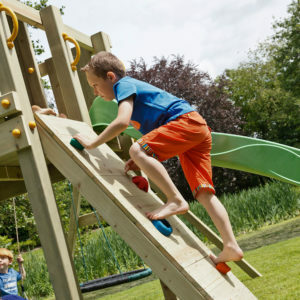 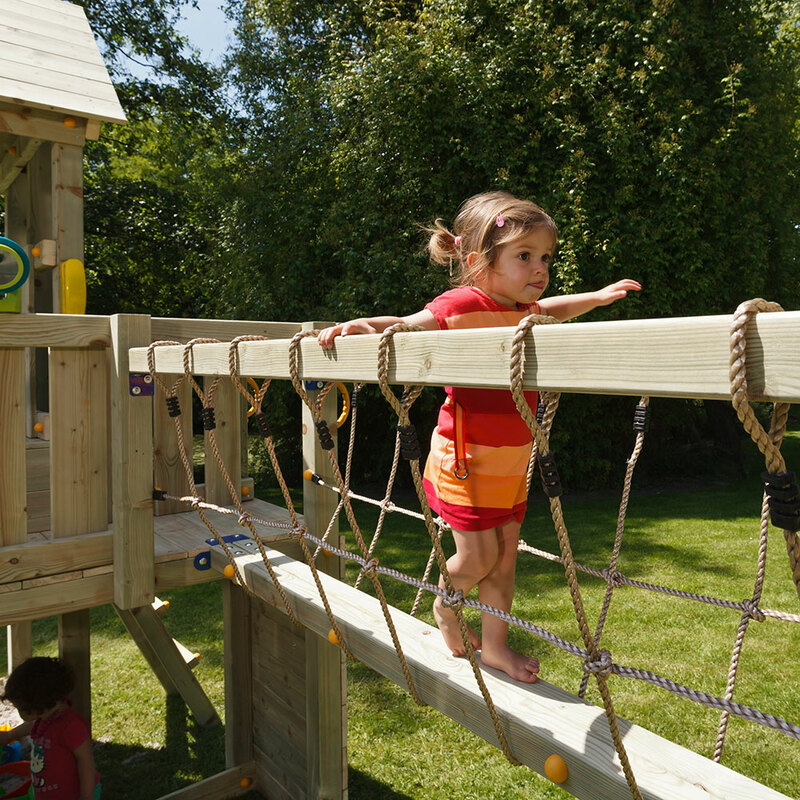 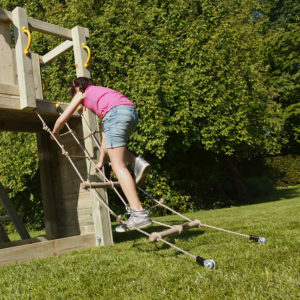 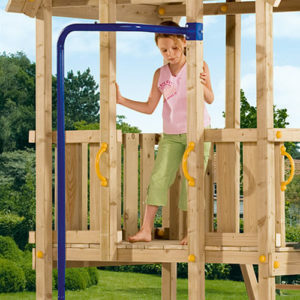 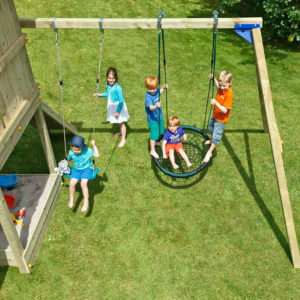 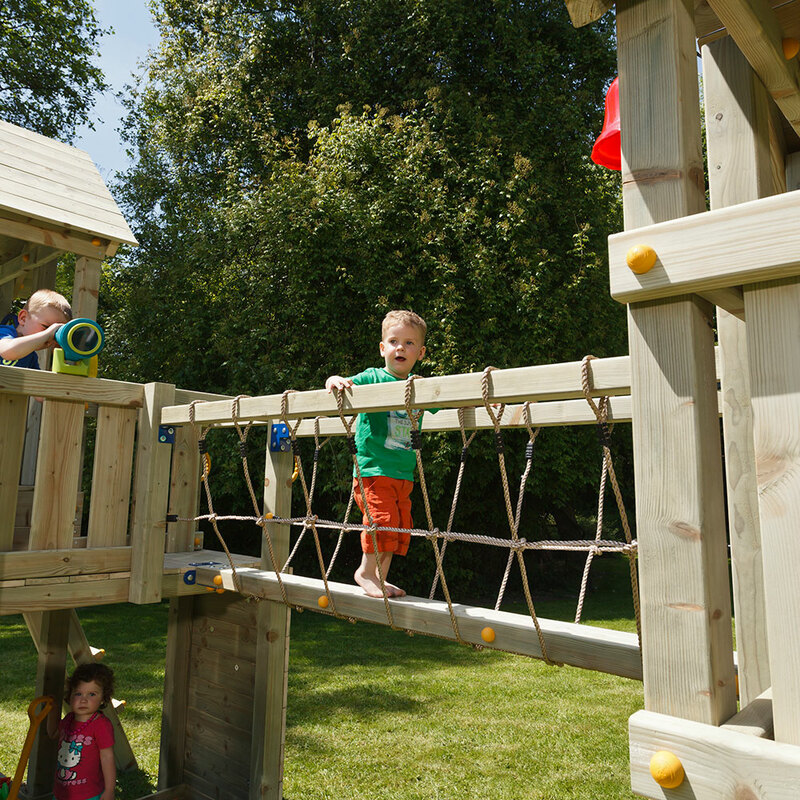 The bridge is fixed between two play towers with equal platform heights by means of solid metal connectors in bright blue powder coating. 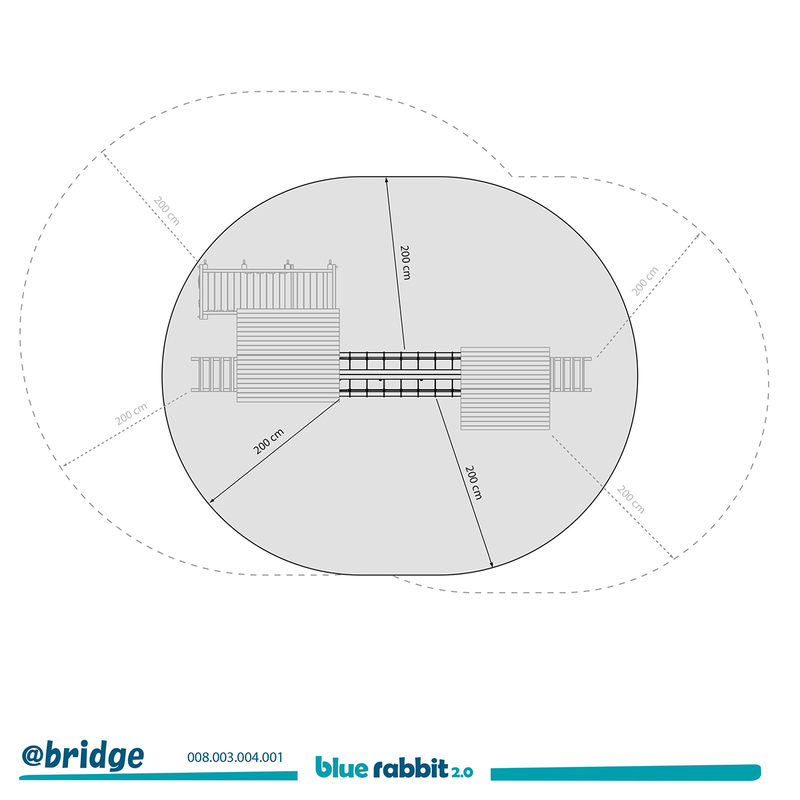 Nearly all of the Blue Rabbit 2.0 towers can be equipped with the @bridge module. 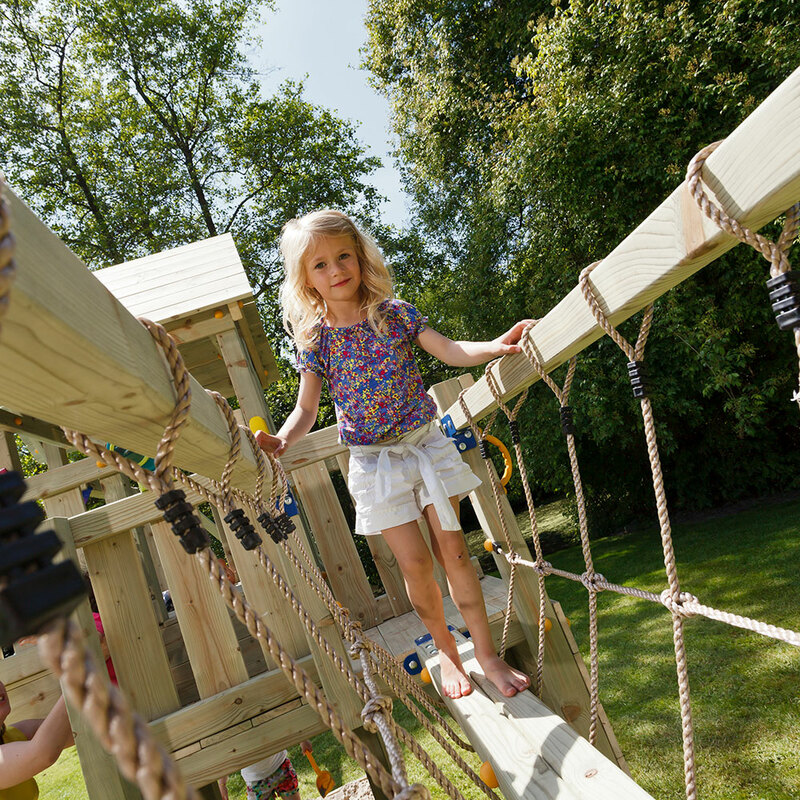 The safety of the @bridge module and the entire Blue Rabbit 2.0 range is guaranteed, as tested and approved by TÜV Nord.